Questions About Making Your First SizzlPix? With the current holiday sale of 50 percent off a second SizzlPix or 25 percent off a single order, lots of photographers from the TDS community are trying their first SizzlPix. And as a result, a few of you might have a question or two about preparing your images. 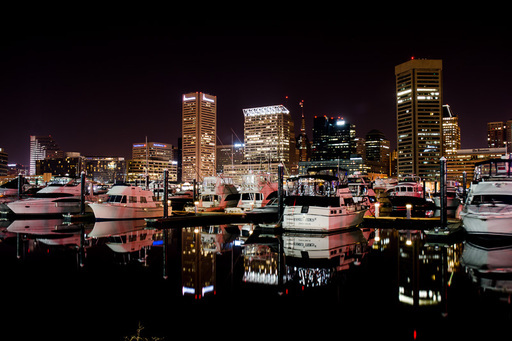 "Baltimore Harbor" by Fred S. Brundick. This was Fred's first SizzlPix. He writes, "It should come as no surprise that everyone who sees my SizzlPix loves it. :-)ï»¿"
I have a few tips here to get you started. But feel free to post additional questions too. "What format do I need to use?" You can use JPEG or TIFF. I've used regular JPEGs with great results. Even images from my iPhone 4S have Sizzled up well. "Do I need to do anything special in post production?" You don't. If you image looks good to your eye, then it will Sizzle up well. Don't over-sharpen! Let the SizzlPix secret sauce do its thing. "The SizzlPix site seems a little homespun." It is indeed. All I can say is that the product is far better than the web site. "How do I get the holiday discount?" All you have to do is enter "TDS" or "The Digital Story" in the comments field of your order. They will apply the discount (which is valid until Dec. 31, 2012). If you have further questions, just post them here, and I will get an answer for you. Congratulations to StillMike who was randomly selected to win the Olympus Tough TG-1 iHS Digital Camera as part of the The Olympus Tough TG-1 iHS Digital Camera Giveaway. Mike published this image on Instagram with the hash tags #DerrickStory and #FavoriteCamera to participate. And just for fun, here are some of the other entries that I thought were terrific. Thanks to everyone who joined in the fun. I loved looking at your images. And I'm now following each of you on Instagram. It's just another way that we can stay in touch with each other. As for our winner, Mike please send me your shipping information and phone number (for the shipper), and I will get that new Olympus camera out to you right away. The recent Lightroom 4.3 release addresses a number of bug fixes, adds RAW profiles for the latest cameras, additional lens profiles including for iPhone 4S and 5, plus for Mac users who have Retina displays, HiDPI support in the Library and Develop modules. 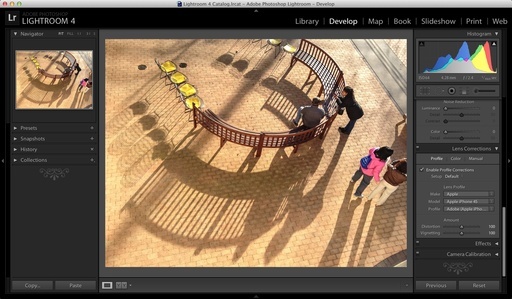 Lightroom 4.3 Develop module (above). Click on image for full size version. 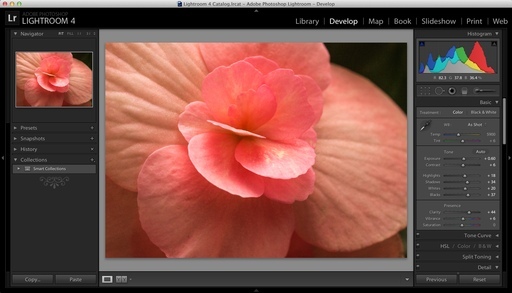 Lightroom 4.2 Develop module (previous version). Click on picture for full size image. If you do use a Retina display, you might want to go to Lightroom > Catalog Settings > File Handling and set the Standard Preview Size to 2048 or 2880 pixels to see the most detail in your images in version 4.3. 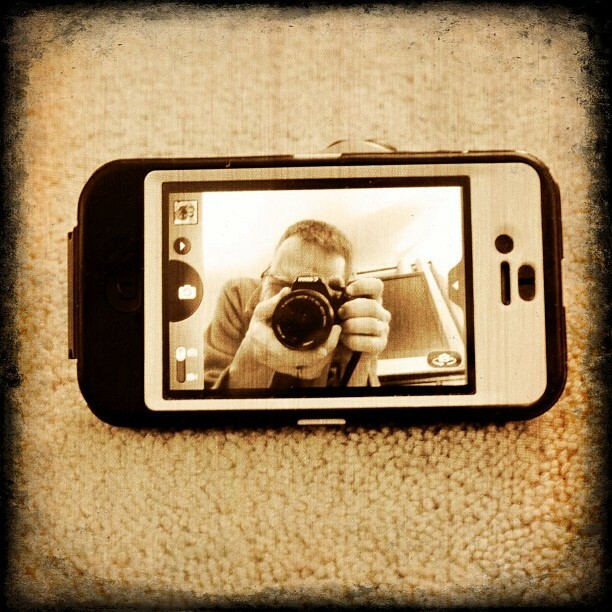 Version 4.3 Develop model with Standard Preview set to 2880 pixels and iPhone 4S lens profile applied. Click on picture for full size image. Lightroom 4.3 is a welcome update with its new RAW profiles, bug fixes, and plenty of goodies for photographers who use Apple products. The Gift Guide for Photographers features 12 tempting goodies for the photographer in your life. Each item includes a background article about it and a direct link for the best price. The Mac App Store has released its Best of 2012 list with five entries in the Photo category. Leading the way is CameraBag 2, which is runner up for App of the Year (behind Day One). "Redesigned from the ground up, CameraBag 2's Analog Engine pairs a full suite of photographic tools with the high quality filters and vintage simulations we're known for. Its key innovation is a stunningly straightforward approach to layering, rearranging, and endlessly tweaking all of these effects in realtime. The 100+ fully-adjustable filters and 25+ professional controls CameraBag 2 ships with are only the beginning, forming the palette from which you can find, and create, your own styles." CameraBag is available for $14.99. Four other notable photography mentions included Snapheal and Adobe Photoshop Lightroom 4, which now features Retina Display support in the Develop module. 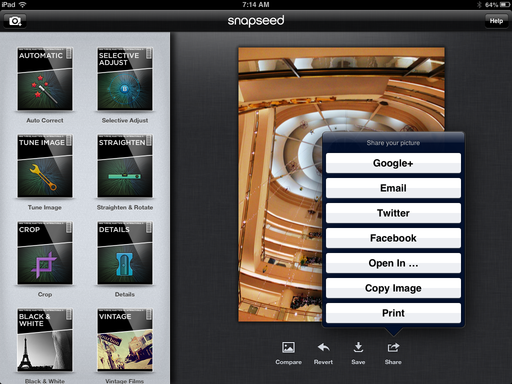 Rounding out the list of top photo apps were Snapseed for the Desktop and Diptic. Even though I listed URLs here for the software, I recommend that you purchase through the Mac App Store where updates are handled quite elegantly. Congratulations to each of these excellent imaging applications for their recognition on the Mac platform. I've had the iPad mini since day 1 of its release. And how I'm using it is much different than I would have anticipated. 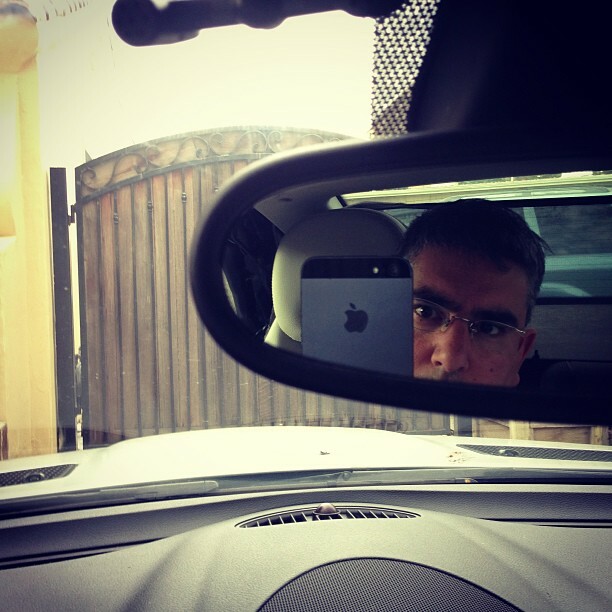 Here are 5 personal iPad mini myths that have been debunked over time. I loved reading The Daily on the iPad mini, and I'm going to dearly miss that publication. Myth 1 - I'll use the camera more: I thought because the iPad mini was smaller that I would be more prone to using its built-in camera. Nope. I still reach for my iPhone 4S for mobile photography. 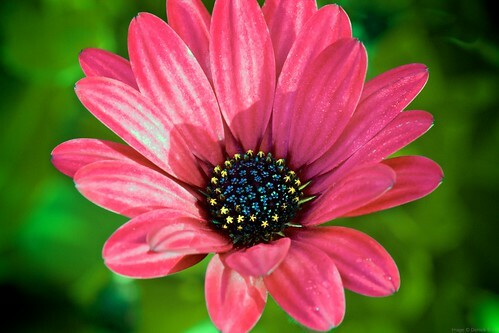 I can send the image to the iPad in a matter of seconds using PhotoSync. 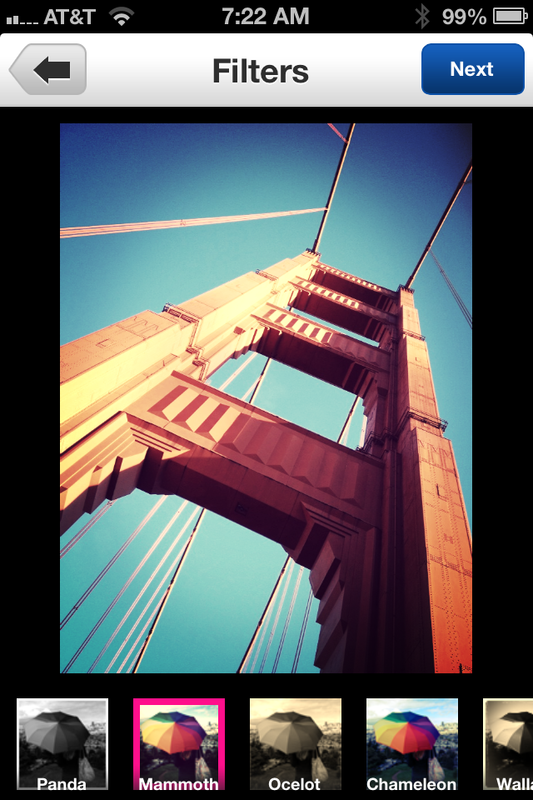 The iPhone is a better image capture device. The iPad is a superior viewing device. Myth 2 - I won't use it as a mobile portfolio because it doesn't have a Retina display: Wrong again. Even though I much prefer the Retina display on my iPad 3, my photos still look terrific on the mini. I use it all the time as a mobile portfolio. And it's much lighter to carry around and hand to a client. 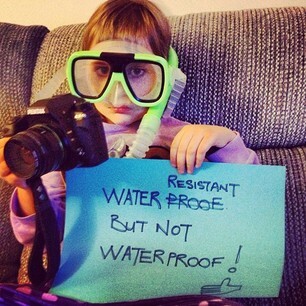 Myth 3 - I'll use the mini for image editing just like I do my iPad 3: Wrongo in the Congo. I'm much more comfortable using Snapseed, iPhoto for iOS, and Photogene on the full size iPad. I will use the mini in a pinch. But I much prefer the iPad 3 for image editing. In an odd sort of way, the iPad 3 had become more of a computer to me since having the mini. Myth 4 - I'll still use the iPad 3 for periodical and magazine reading: Sorry, but that hasn't panned out at all. I love reading the San Francisco Chronicle, USA Today and other periodicals on the mini. 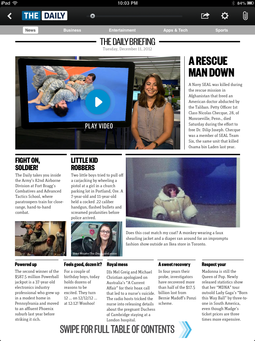 And I'm really going to miss The Daily (shown above), which I have been a subscriber to since its launch. The mini is far more comfortable to hold for reading than a full-sized iPad. And as a result, I'm reading more than ever on an iPad. I would go so far as to predict that the mini is really going to help us make the transition to digital periodicals. Myth 5 - The mini will never become my favorite iPad: Hmmm, the jury is still out on this one. No way I would ever want to give up the beautiful iPad 3. But around the house, 3 times out of 4, I'm picking up the mini. And that surprises me the most. This week stories: A Bargain Canon Super Zoom, The Return of Drobo Part 2, and the Olympus TG-1 camera giveaway. Story Number One: - The Canon EF-S 55-250mm f/4.0-5.6 IS II lens, Standard street price for the zoom is $299. But I've see it going regularly for $249, and I even scored one brand-new in the box with warranty for $195. This is not a fancy lens. But it certainly takes good pictures. 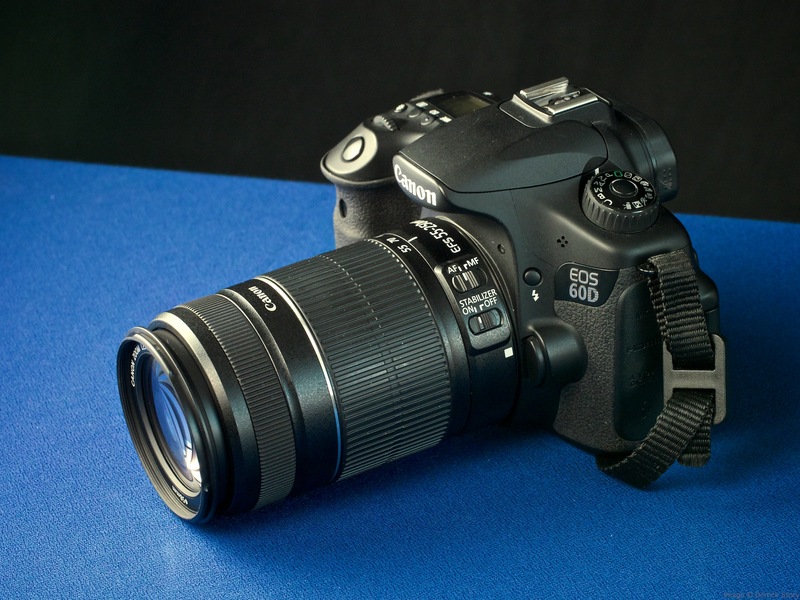 What I like about it is that it has four-stop image stabilization, and that it is light and relatively compact for a zoom with an effective range from 88mm to 400mm. More on this lens in the first segment of the show. Story Number Two: - The Return of Drobo - Part 2. Let's go under the hood and look at some of the specifications for the set up that I'm testing. I have all five bays of the 5D filled with drives. That includes three 1-TB drives and two 3-TB drives that occupy the five slots. In the bottom slot (on the bottom of the unit), I have one mSATA SSD Accelerator Drive installed. This is a solid-state chip with 64 GBs of memory that improves performance. With a total of 9 TB of disk space installed, I have access to 5.4 TB of space. 2.77 TB of the 9 TBs is used for protection. More on how this all works out in the second segment of the show. Story Number Three: -The Olympus Tough TG-1 iHS Digital Camera Giveaway. 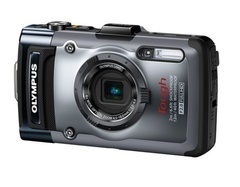 To celebrate the holiday season, I want to give away an Olympus Tough TG-1 iHS Digital Camera. It's one of my favorite compact cameras, and I think someone else should enjoy one too. I go over the details in this segment of the show. Long Exposure is the Dec. 2012 Photo Assignment. You can read more about how to submit on our Member Participation page. Deadline for entry is Dec. 31, 2012. At $255 (or less), the Canon EF-S 55-250mm f/4.0-5.6 IS II lens combines powerful magnification (88mm-400mm), terrific image quality, four-stop stabilization, and impressive close-up performance in a compact, lightweight design. I've been testing the lens, and here is my hands-on review. Don't get me wrong, as much as I like this zoom, it's a consumer design through and through. The lens mount is plastic, not metal. The autofocus motor is not the silent USM variety. And the front lens barrel rotates when focusing. But after that, the news is pretty darn good. Medium shot with the Canon 55-250mm zoom set to 70mm (f/4, 1/25th, ISO 100, hand held). All images captured in RAW with normal post-processing in Aperture 3.4. Photos by Derrick Story. I mounted the zoom on my Canon 60D and shot a variety of images, from very close up to full distance. The autofocusing was snappy and accurate. Image quality was high. Flare was well controlled, as was chromatic aberration. The lens is also compatible with the Canon Extension Tube EF 12 II and EF 25 II for increased magnification. I have the EF 12 II and tested it with the 55-250 zoom. In all honesty, I had a blast with it. 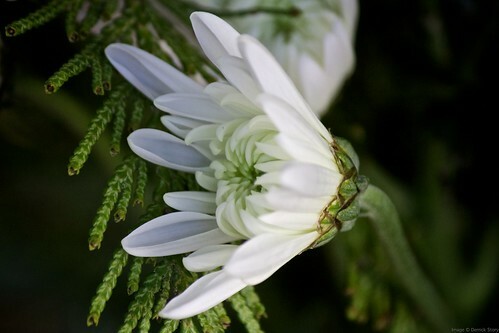 African Daisy photographed with the EF-S 55-250mm zoom and Extension Tube EF 12 II on a Canon 60D - magnification 0.60x at 250mm (f/16, 1/45th, ISO 1600, hand held). As for scenics and long shots, I was able to get separation between the subject and the background, even though the maximum aperture is f/5.6 at 250mm. This composition had strong backlighting, but I can't detect any noticeable flare. 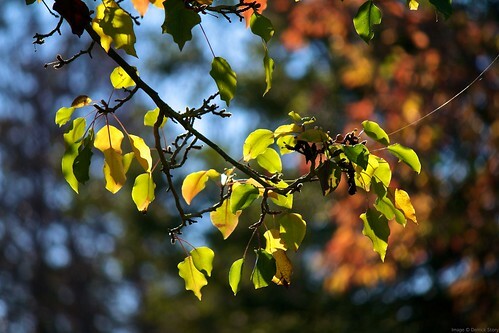 Autumn color, captured at a distance with the zoom fully extended (f/5.6, 1/350th, ISO 125, hand held). 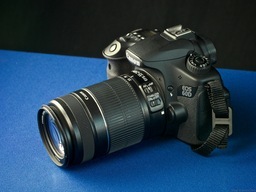 I think the Canon EF-S 55-250mm f/4.0-5.6 IS II lens is best suited for travel and outdoor photography. By adding the Extension Tube EF 12 II, you have a super light 88-400mm zoom that's also capable of engaging close-up photography. Autofocusing is snappy, image quality is great, and it has a terrific 4-stop IS system. 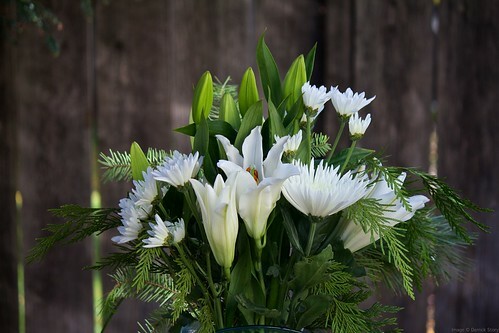 The f/5.6 maximum aperture nixes this zoom for sports and indoor action. But if you want a feather-light companion for your outdoor adventures, you can't beat the value of this lens at less than $300. I particularly like it with the Canon 60D. I bet it feels pretty good on the Rebels too. 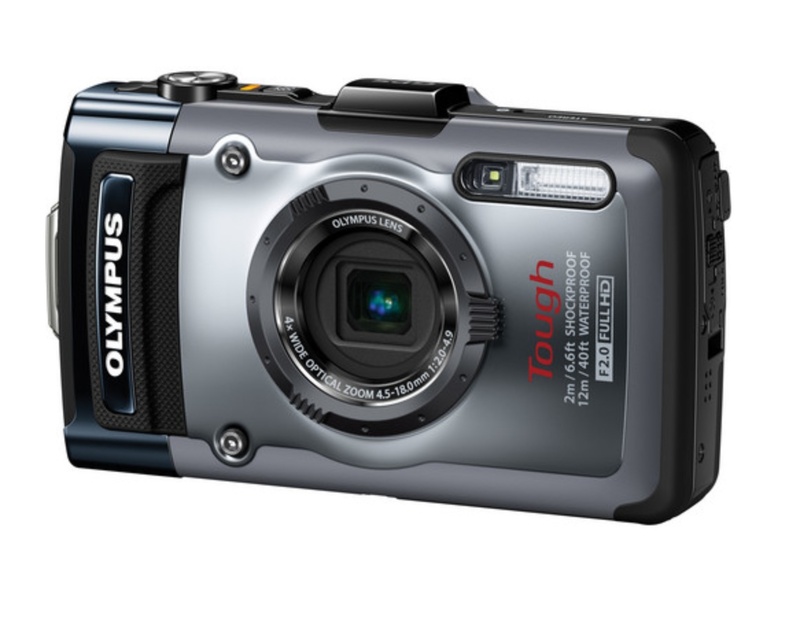 To celebrate the holiday season, I want to give away an Olympus Tough TG-1 iHS Digital Camera. It's one of my favorite compact cameras, and I think someone else should enjoy one too. The TG-1 is what I used for my last trip to Maui to photograph the beauty both topside and underwater. It's fast f/2.0 lens combined with rugged performance makes it the perfect camera to slide into a pocket of your board shorts or day pack. Plus, I love the built-in GPS that geotags my photos on the spot. Check out some of my underwater images from the TG-1. Personal note: My goal has been to post a photo a day on Instagram, and as a result I feel like I've added a new facet to my photography. It's a great outlet for pure creativity. On the week of Dec. 17, I'm going to publish some of my favorite images from this event here on The Digital Story. 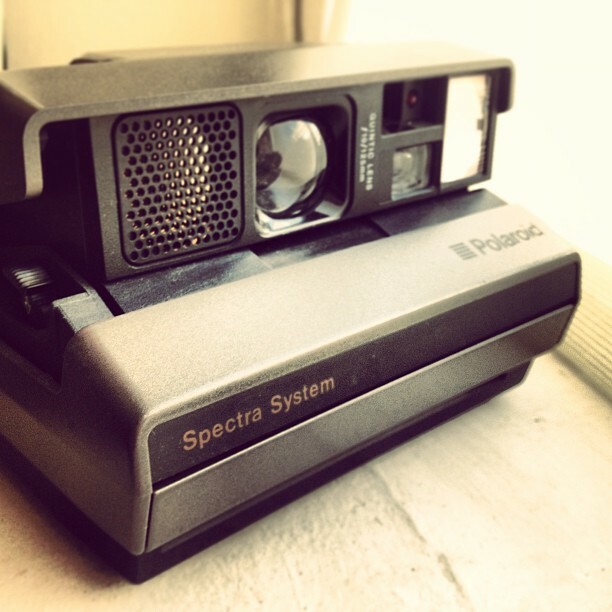 The camera recipient will be randomly selected from participants who published Instagram photos that follow the criteria outlined in this post. 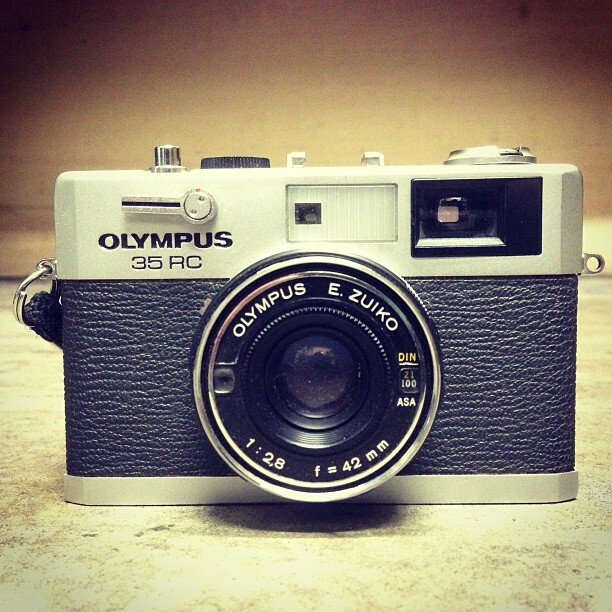 The Olympus TG-1 will be shipped the week of Dec. 17, 2012. Participation is open from Dec. 9 to Dec. 16, 2012, PST. Post a photo of your favorite camera on Instagram. Add hashtags #FavoriteCamera and #DerrickStory to the post. The recipient of the camera will be randomly selected from participants who meet the criteria outlined in this blog post. The TG-1 giveaway is void where prohibited. I know some photographers were concerned when Google acquired Nik Software. But this is a harmless change. 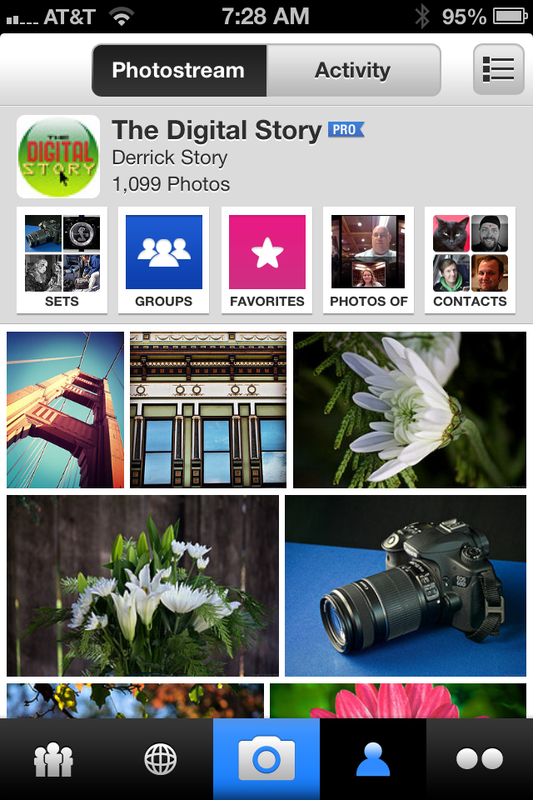 And if you use Google+, it's really easy to post from Snapseed to your account. I like that you have control over the Circles you post to right within Snapseed. So you can choose the picture, write the caption, and pick the Circles without ever leaving the app. In my test, everything worked great. Google also added a "Paste" option to the Open Image menu, which is now a camera icon instead of a button in the upper left corner. There's also a new Retrolux filter: "Use one of the newly created film styles, combined with a range of different scratches and textures as well as light leaks to create a truly retro look for your photos." As far as I could tell, everything else was pretty much the same and worked as smoothly as always. 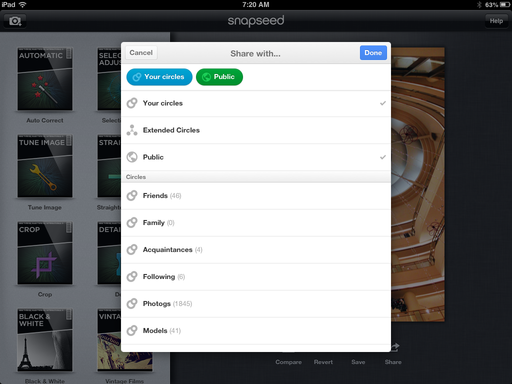 Oh, and just one more thing: Snapseed is now free in the App Store. That's a pretty good change!